In this lesson we are going to take a look at, currently, one of the greatest threats to life on this planet, plastic pollution. We will delves into plastics story, from it’s creation to it’s resting place (if it has one). 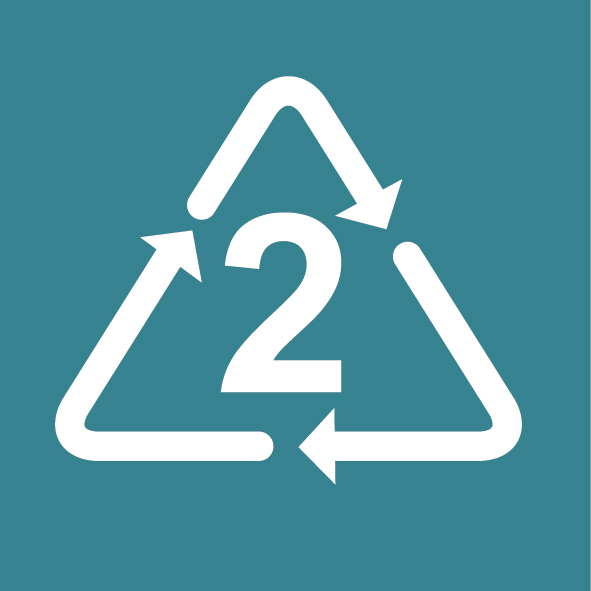 By following plastics journey we can better understand its purpose, its composition and its effects on the environment. We will also look at the responsibilities we have to protect the planet and the influences and shifts each and every one of us can have. Once a upon a time (1869) there was a man called John Wesley Hyatt. John wanted to create a substitute to Ivory. He achieved this goal, he discovered a plastic that could be crafted into a variety of shapes. This was revolutionary. For the first time human manufacturing was not constrained by the limits of nature. Nature only supplied so much wood, metal, stone, bone, tusk, and horn. But now humans could create new materials. In 1907 Leo Baekeland invented Bakelite, Bakelite could be shaped or molded into almost anything, providing endless possibilities. World War II saw a great expansion of the plastic industry. For the past 50 years plastics have changed and shaped the way we live. This cheap, highly adaptable material quickly made it into every family home. Of course, where there is a cause their is always an effect. Plastic debris in the oceans was first observed in the 1960s. Plastic’s reputation began to fall in the 1970s and 1980s as anxiety about waste increased. Furthermore, a growing concern about the potential threat plastics pose to human health saw its reputation drop even further. A polymer once considered revolutionary is quickly becoming one of the biggest threats to this planet. It is estimated that by 2050 there will be more plastic is the ocean than fish….let’s just let that sink in for a second. 8,000,000 (eight million) tonnes of plastic enters the oceans each year. This works out to be over 1 kilogram of plastic per human being on the planet. Cigarette butts are a major source of plastic pollution with over 5,000,000,000,000 (five trillion) being consumed each year. Over the last few lessons we’ve looked at ecosystems, we know how connected every living creature on earth is. Remember in lesson one we learnt that every living creature interacts with the ocean on average 23,040 times a day, we need a healthy ocean to breath. It connects all of us. So how does so much plastic end up in the ocean? Today, you cannot go anywhere without seeing litter. This isn’t some problem facing some far away country. This is an issue happening right on your door step. Litter that is often so carelessly dropped will make its way down storm drains, then out into river systems and inevitably into the ocean. Plastics where invented to be durable and long lasting, a trait which makes them so useful is also their biggest flaw. You are most likely already aware that plastics are having a significant impact on life on Earth. This is particularly visible in the marine environment, and its effects can be seen right down the food chain! Ingestion and entanglement are the two most significant ways that plastics are impacting on animals. 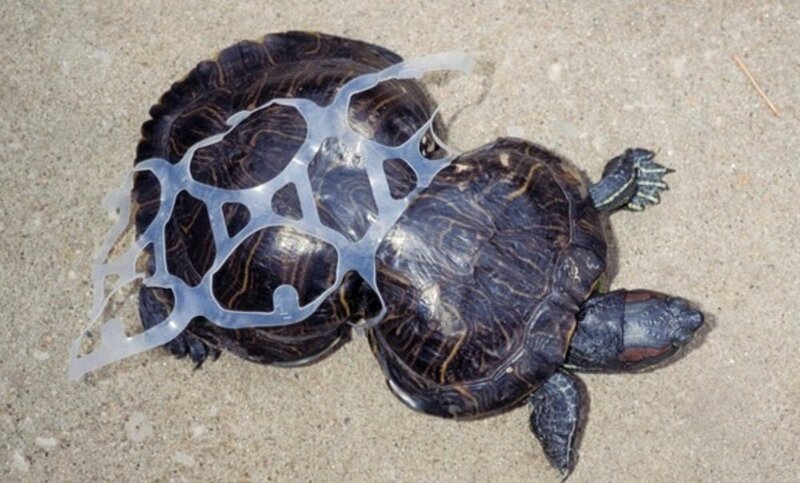 Over 700 species have been found to have ingested plastic. Direct ingestion (an animal eating a piece of plastic) is occurring at all stages of the food chain. Consider how plastic is being transferred through food webs via indirect digestion (an animal eating another animal who has eaten plastic). Over 80 species have been found in Australian waters suffering from entanglement in plastic. The most visible examples have been turtles, humpback whales and pelicans. Entanglement can result in a horrific death via drowning, suffocation, strangulation or starvation. Chemical leaching is an emerging concern. Chemicals can leach from plastic products into the surrounding environment or directly into an animal. There is currently less research to support the size of the impact of chemical leaching. is all plastic created equal? Have you ever noticed these little symbols on the bottom of plastic products and wondered what they mean? Understanding these symbols can better help you navigate the world of plastics, leading to more informed decisions when purchasing. 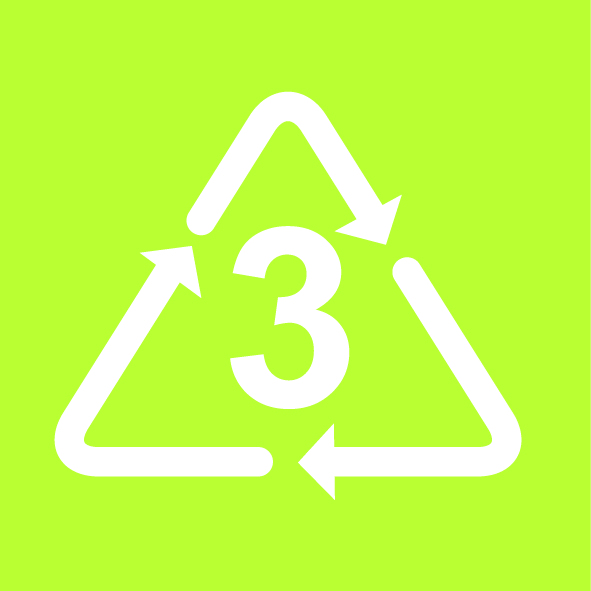 The numbers refer to a certain type of plastic, from this you can be more conscious of the type of plastic you are purchasing, health issues surrounding that particular polymer and it's recycling status. We don’t expect you to remember these, so we’ve designed a poster to help you! Feel free to download and print the poster, perhaps stick it on your fridge at home? Bioplastics are both bio-based (made from substances derived from living organisms) and biodegradable. A plastic is biodegradable if it can be converted to gas and water as a result of exposure to biological (e.g. water and microbes) and environmental (e.g. temperature and sunlight) factors. Most plastics are not biodegradable, they instead breakdown via fragmentation – splitting into smaller and smaller pieces that will stay in the environment for hundreds of years. Any piece measuring less than 5mm is considered a microplastic. It is not compulsory for Australian manufacturers to comply with regulations in order to label their product as a bioplastic. Regulations vary from country to country. In Australia, materials will comply with current bioplastic regulations if 90% of their original dry weight degrades in temperatures of over 50 degrees. Backyard composts and the marine environment will never reach those temperatures. There are only limited commercial compost facilities in Australia that will provide for those conditions. What does single-use plastic mean? Being more aware of our individual impact on the planet and the amount of waste we as individuals are responsible for, causes a shift in our perspective, which in turn changes our choices and behaviours. Here are some ways you can start fighting for change! Saying “no” to single-use plastics like straws, coffee cups/lids and plastic bags is a easy, empowering and effective way to immediately reduce your plastic footprint. There are a lot of alternatives to plastics and more and more eco-friendly products/brands are appearing every day. If you do end up with single-use plastics why not reuse them, get creative! Maybe you can make them into an artwork or sculpture? At Coles and Woolworths, thanks to Red cycle, you can now recycle your soft, scrunchy plastics! For bottles and cans there is the Return and Earn Scheme where you can earn 10c for every bottle. 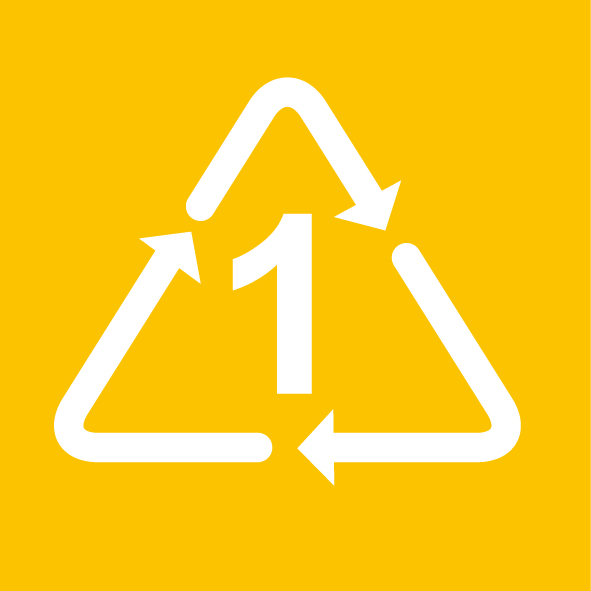 The Newcastle, Maitland and Lake Macquarie council supply everyone with a yellow recycling bin, make sure you recycle everything that you can. What can I put in the yellow bin? Don’t forget if you have items you don’t want, clothes that don’t fit you anymore, toys you don’t play with, why not take them to a charity shop like RedCross or the Salvation Army. It’s recycling, its reusing and it’s kind! What does expressing your philosophy through your choices mean? Do we agree that our choices are our own responsibility? What does the environment have to do with human rights? Eleanor Roosevelt spoke of our choices as being our personal philosophy in action. She added that our choices are also our personal responsibility. Let’s consider the entire lifetime of a product – from legislation to fragmentation: Who is responsible for plastic products? Can you identify 5 points during a products lifetime where there may be a transfer of responsibility? My scope of influence is the individuals whose actions, decision making and wellbeing I can have an effect on – whether positive or negative. This will change over time – sometimes it will grow, sometimes it will shrink. And the individuals who are within my scope of influence will sometimes change. Who is in your present scope of influence? and what changes can I make today to help reduce my plastic footprint?